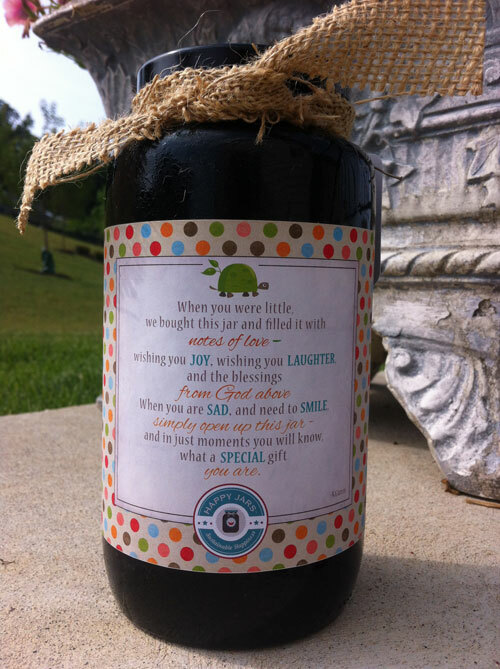 The Child Happy Jar is ready for parents to fill with words of inspiration for their little ones. 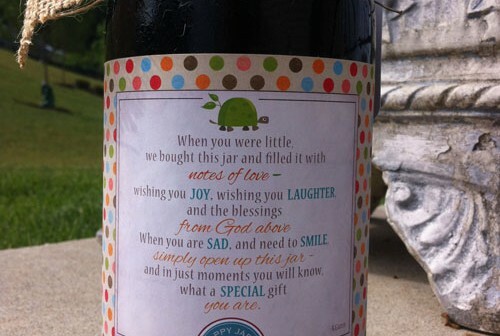 The label reads, “When you were little, we bought this jar and filled it with notes of love – wishing you joy, wishing you laughter, and the blessings from God above. 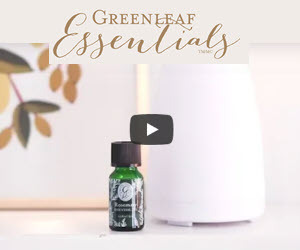 When you are sad, and need to smile, simply open up this jar – and in just moments you will know, what a special gift you are.” Small (26–32 oz.) and large (128 oz.) recycled jars are handpainted with waterproof labels. Made in America.